Lyme Rd, Uplyme, Lyme Regis, DT7 3TJ. 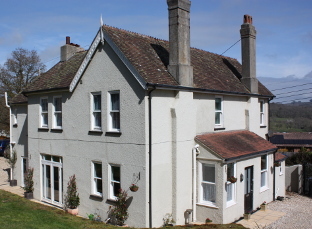 Welcome to Regis House our beautiful Edwardian detached home built in 1880. Graham and Andrea Sheargold offer three luxurious letting bedrooms all with either full en-suite facilities or private bathroom. 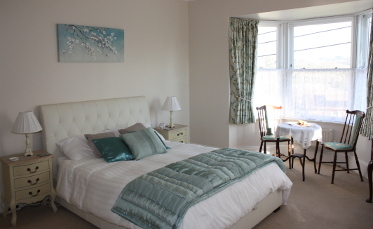 All our rooms are tastefully decorated and fitted out with brand new, high quality beds and furniture. One of the most impressive aspects of Regis House is the wonderfully spacious room sizes which enable you to enjoy the superb relaxed atmosphere here. We have ample car parking and are only a short walk from the centre of Lyme Regis. There is also a regular bus service to and from the village to Lyme and to Axminster with main line connections to London. To ensure that your stay is relaxing and memorable we offer you our special breakfast served in your room each morning. 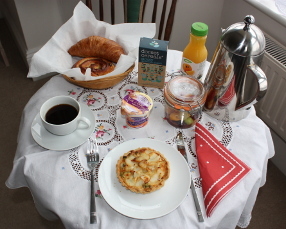 Breakfast is served in your room and we offer local Dorset cereals, fresh fruit and yoghurt, our own homemade savoury breakfast tarts together with Danish pastries or croissant, all freshly baked each morning. There is also, conserve, fruit juice and Dorset tea or freshly filtered coffee.